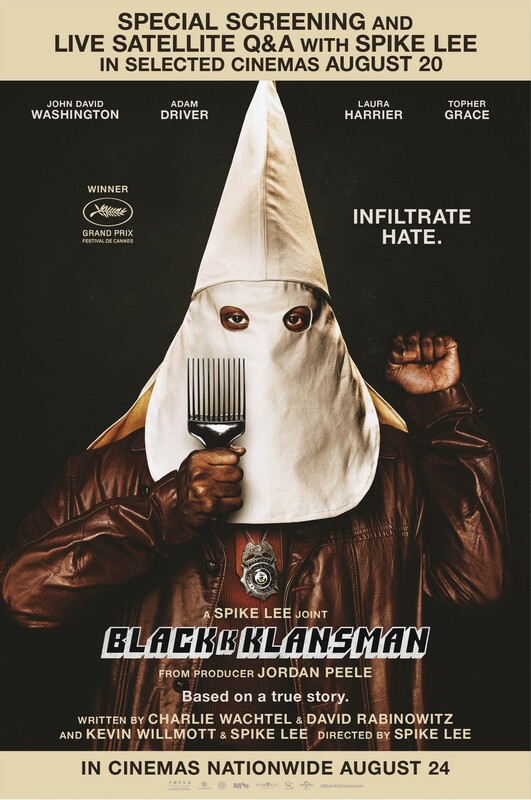 From visionary director Spike Lee comes the provocative story based on Ron Stallworth’s real life as Colorado Springs’s first African-American police officer who went undercover to infiltrate the Ku Klux Klan. Detective Stallworth (John David Washington) and his partner Flip Zimmerman (Adam Driver) penetrate the KKK at its highest levels to thwart its attempt to take over the city. Produced by the team behind Get Out, Spike Lee uses his trademark take-no-prisoner style and humour to tell this story often missing from the history books. Winner of the prestigious Grand Prix award at the 2018 Cannes Film Festival.